Before setting out to buy a pressure washer, decide what you propose to do with it once you have acquired it. Will you be washing your car or truck or the garage where you park them? Or would you be pressure washing your driveway and portico, and the backyard as well? You need to be sure because you will have to include the attachments and tools accordingly. Once you take some time to decide and add only what is absolutely essential, you are ready to purchase a pressure washer. Read our Full Pressure Washer buyer’s guide here. Read our Electric Pressure Washer buyer’s guide here. Check out our Gas Pressure Washer Reviews here. There is a common misconception that the size of the pressure washer makes a difference, as does the power. This may be true only to an extent, because it all depends on what you are going to use the pressure washer to clean. If you wish to clean your car, both inside and outside, you probably can manage that with a smaller size pressure washer that has less power. However, if you want to clean the stubborn dirt and stains in your pool area or your driveway, you need a big sized pressure washer that packs a lot of power. The same applies to your driveway, which could have space earmarked for parking your car. The area where you normally park your car (outside the garage) is bound to have a lot of oil and grease stains. Getting rid of these stains is a tough proposition and needs a high capacity pressure washer. 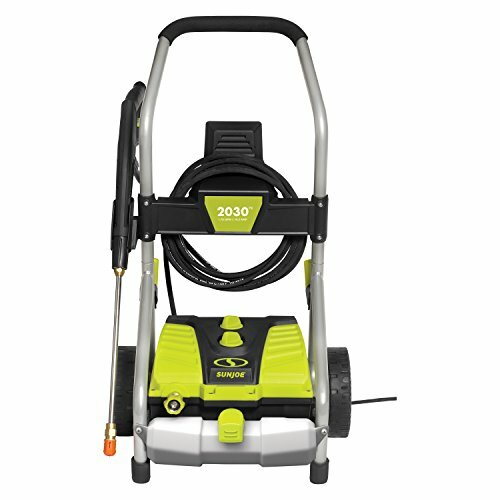 There are many types of pressure washers available in the market; some have powerful motors that can create powerful jets of water. Some pressure washers use hot water for more effective cleaning, and some that use plain cold water. 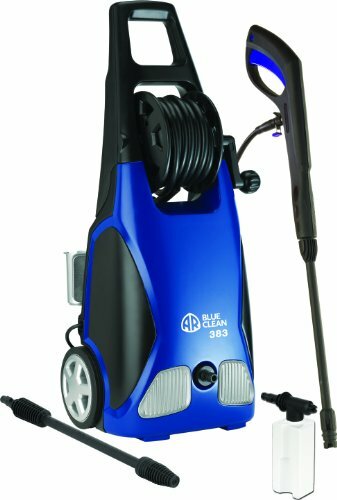 If you are an eco-conscious person, you would probably want to acquire an electric power washer, which does not emit noxious fumes, in addition to being almost noiseless. However, electrically operated pressure washers have low cleaning power, and may not be suitable for cleaning stubborn grime. Whereas gas pressure washers are equipped with powerful motors and are capable of cleaning the most stubborn stains and grime in a matter of minutes. If you and your neighbors do not mind the noise or the smoke, you are better off with a gas pressure washer. However, it is not a great idea to use the gas pressure washer indoors, unless the room is well ventilated. The noxious carbon monoxide is very toxic and dangerous. Check the attachments and tools that come along with the pressure washer and choose the ones that you may need.